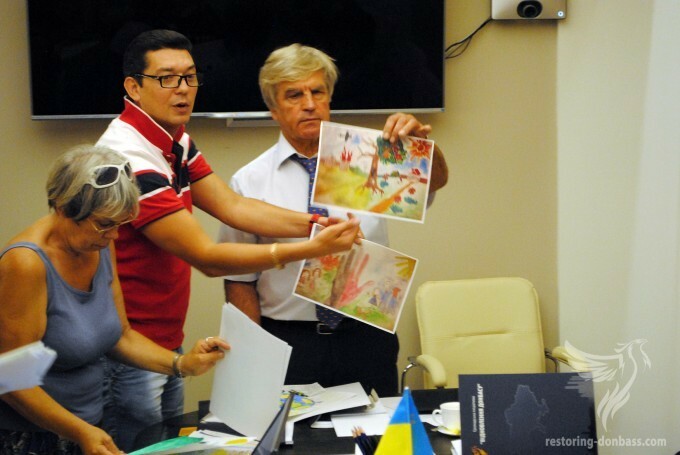 Last Friday, August 28, there was a meeting of the jury of the contest of children’s drawings «Peace and war through the eyes of Donbas children». They determined the winners. 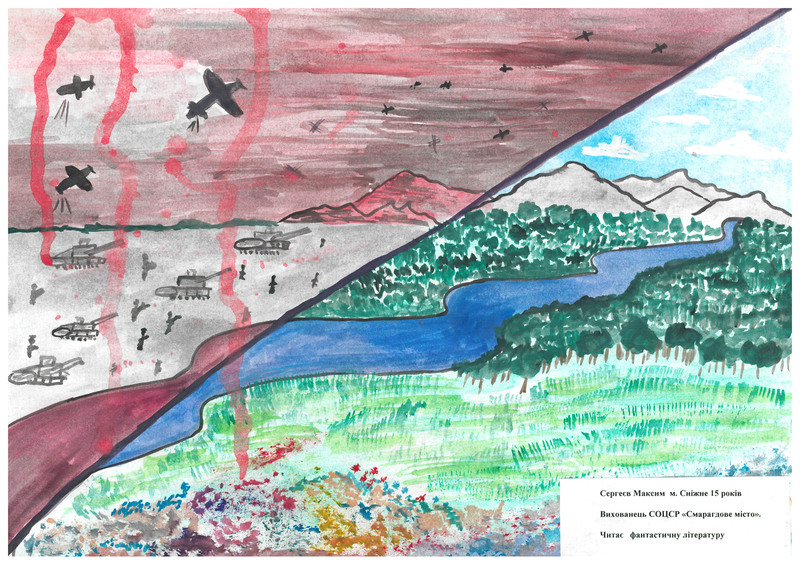 By August 25 – the last day of the submitting the drawings –community initiative «Restoring Donbas» has received more than 300 works from children, who are living in Donbas, and from children-IDPs. Donetsk public organization “Maximal” helped “Restoring Donbas” in obtaining pictures from the uncontrolled territories. 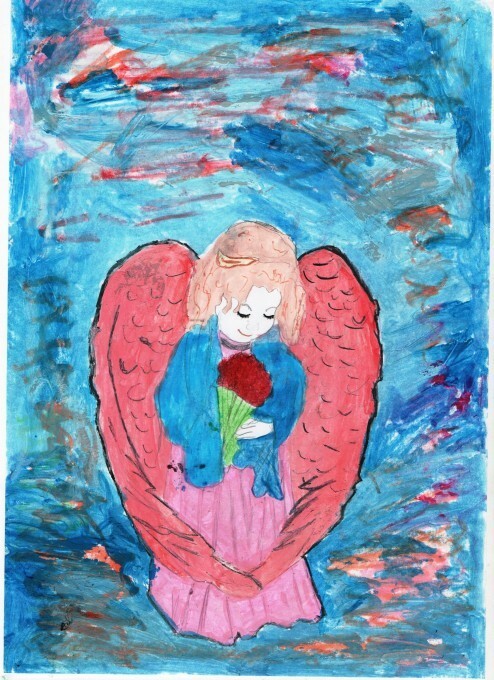 In addition, plethora drawings were sent to the email of the organization. 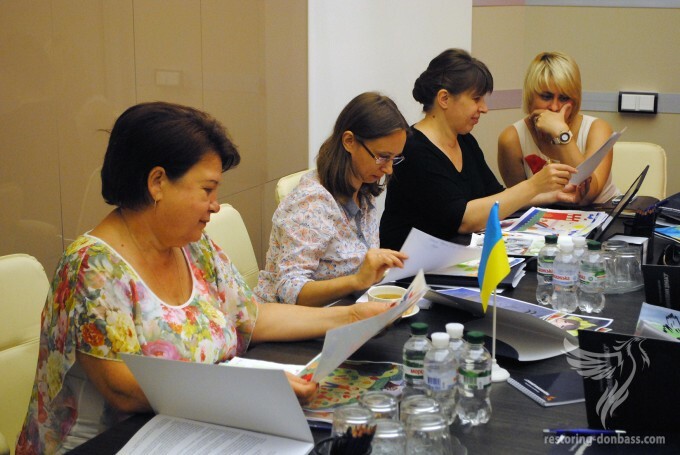 The jury includes both the representatives of community initiative “Restoring Donbas”, and invited guests, among them – Andrei Romanov – people’s Artist of Ukraine, the director; Natalia Bartko – an artist, a member of the Union of Artists of Lviv; Natalia Kuznetsova –psychologist of Ukrainian medical rehabilitation center for children with organic lesions of the nervous system of the Ministry of Health of Ukraine. The head of the jury is Oleksandr Kashchenko – dean of the architectural faculty of Kyiv National University of Construction and Architecture, PhD, Professor, Head of the department of drawing and painting. During the discussion of contest works, members of the commission considered both the artistic worth of the drawings and its semantic load and essence. 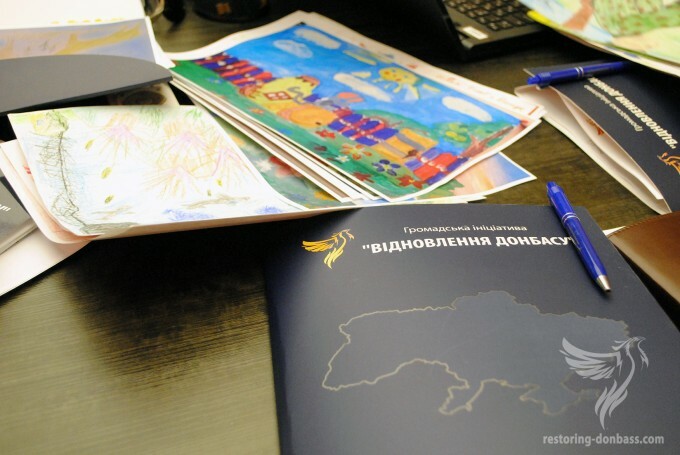 Regulations of the competition stated that during its carrying out special attention was paid to the drawings of children from orphanages and temporary camps for Donbas children. These children were in a separate category of participants. Among them there were identified the winners. The exception was the age group of 5-8 years old – among these participants there were no children from orphanages and camps. Thus, there were determined six winners on the basis of discussion and voting (- two in each of the age group). Julia Udovyk, 6 years old, Makeyevka. 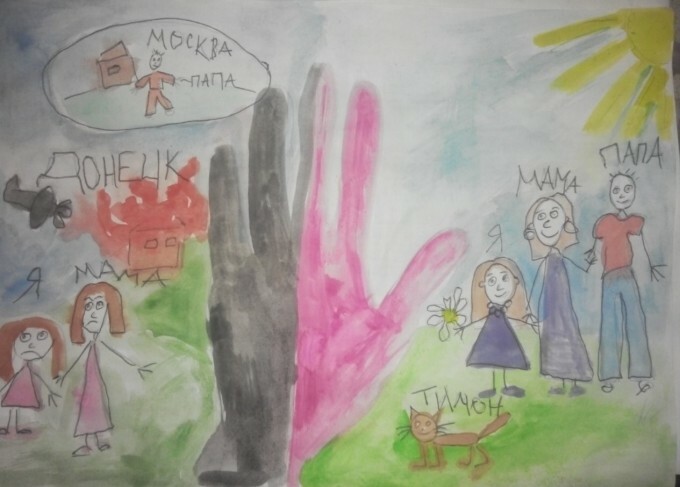 Elizaveta Toporkova, 6 years old, Donetsk. 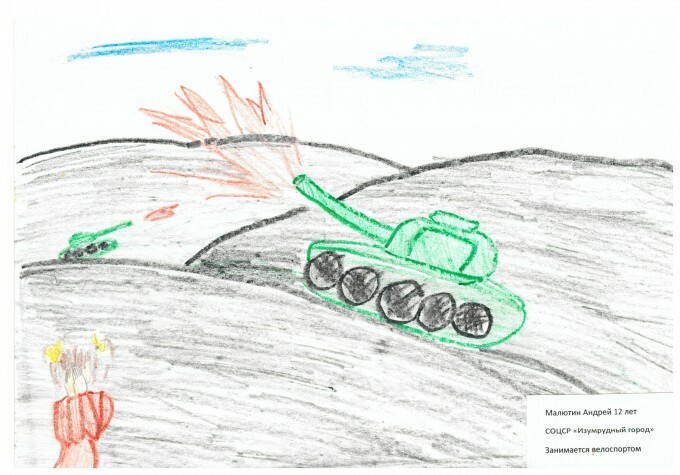 Rostislav Slavskiy, 11 years old, Gorlivka. Andriy Malyutin, 12 years old, Svyatogorye. 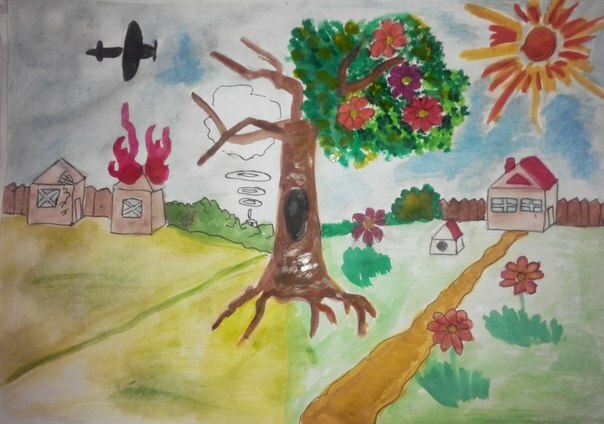 Sofiya Sbytneva, 14 years old, Slavyansk. Maksim Sergeev, 16 years old, Snezhnoe. 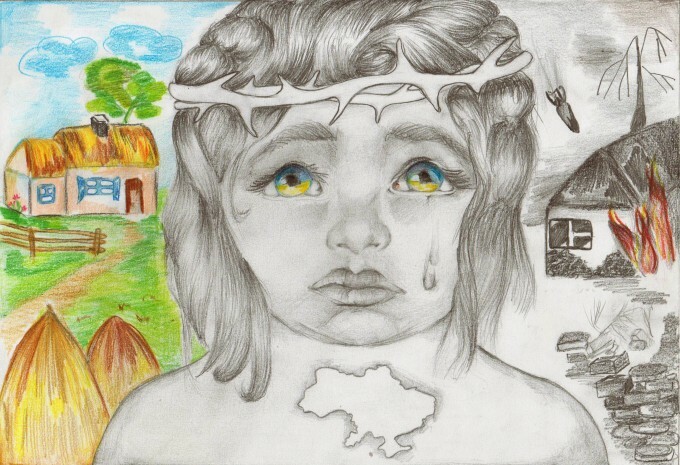 The drawing of 11-year-old Alina Bova from Makeyevka obtained People’s Choice Award on the page “Restoring Donbas” in the social network “VKontakte”. It collected the largest number of “likes” by the September 1, 2015. In the nearest future, representatives of the community initiative will come in touch with the winners. 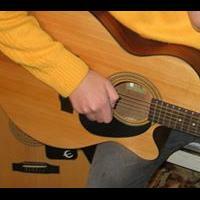 In addition, more than 10 contest pictures will be awarded with special diplomas. By the end of the competition, the community initiative is preparing to publish a collection of pictures of participants with their letters, comments of social network users, the explanations of the psychologist. 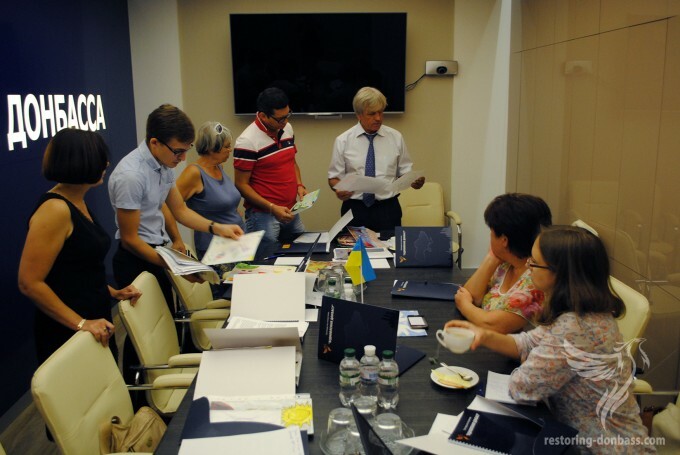 Volunteers of the initiative “Restoring Donbas” will try to do everything possible in order to provide each participant with the copy of collection. In addition, copies of the collection will be presented to state authorities of Ukraine, embassies and Ministries of Foreign Affairs of Ukrainian partner countries, representatives of international organizations. Let us remind that children’s drawing contest “Peace and war through the eyes of Donbas children” was announced on May 9, 2015. 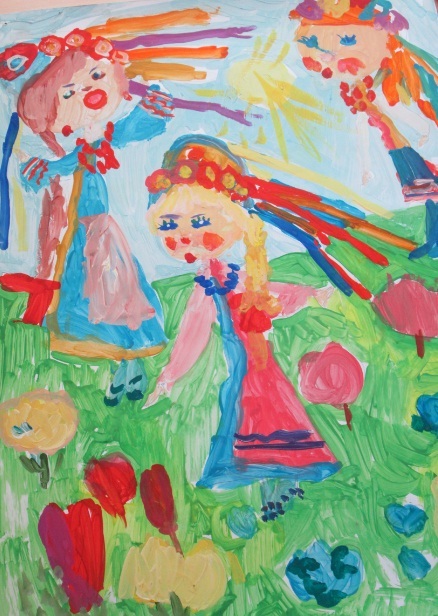 It was devoted to the perception of Donbas children their problems, worries and hopes for the future. It gives an opportunity for the parties of the conflict and those, who can influence on its resolving, to reflect on the real cost of the war and the necessity of its completion.